Represented a national company in its development of an industrial site, including the establishment of a port, which totaled an investment of $90 million. Represented the nation's largest used car dealership in the acquisition and development of a new dealership. Represented an international steel company in the development of an industrial park on their site. Represented a publically traded company in its acquisition of a rail car repair facility. Represented a national lender in a construction loan and refinance of a beachfront restaurant which sat on four parcels in two states. Represented developer in a 17 parcel assemblage for a new Publix Grocery Store, assisting in the acquisition and rezoning of the entire tract. Acted as local counsel for borrower in a $1.2 billion refinance of its industrial facilities throughout the world. Obtained a $660,000.00 refund for an international steel manufacturing facility on an ad valorem tax appeal. Doug is a Partner in the firm's Real Estate and Lending practice groups where he specializes in land use, zoning, and commercial lending. 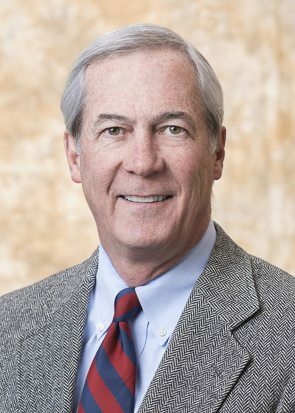 Doug has more than 30 years of experience handling all aspects of real estate law from contracts and boundary line disputes to complex commercial transactions. He represents developers, purchasers, owners, and lenders in both transactional and development matters. Doug previously served on the City of Mobile Planning Commission and is recognized as the leading expert in land use matters in Mobile. He currently serves as the attorney for the Planning Commission and Board of Adjustment for the City of Mobile, as well as serves as general counsel to the Home Builders Association of Metropolitan Mobile, Inc.